South Bend, Indiana – A trademark attorney for NextEra Energy, Inc. of Juno Beach, Florida filed an intellectual property complaint in the Northern District of Indiana. Defendant Nextra Technologies, LLC of Granger, Indiana is accused of infringing one or more of NextEra’s 132 federally registered trademarks. Nextra is also accused of unfair competition and false advertising. NextEra is a clean-energy company. It has approximately 42,500 megawatts of generating capacity in 26 states in the United States and four provinces in Canada. Through its affiliates, it provides wind and solar energy goods and services. 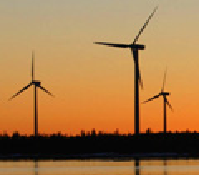 Its wind-energy services include consulting, developing, construction and installation of wind energy systems, including wind-powered energy-generating turbines and turbine transformers. Its solar-energy systems include solar panels, solar arrays, solar photovoltaic equipment, solar thermal equipment and transformers. Plaintiff asserts that Defendant Nextra is in a similar business and that it has manufactured, imported, promoted, distributed and/or sold energy products and services – including wind turbine components, solar panels, and energy systems – in the United States. Plaintiff further contends that Nextra’s goods and services are offered under “Nextra” mark and that the “Nextra” mark infringes upon NextEra’s “NextEra” family of trademarks. Due to the alleged similarity between the types of goods and/or services offered by the two companies and the marks under which they are offered, NextEra claims that Nextra’s sales of energy products and services is likely to cause confusion, mistake and deception among purchasers as to the existence of a relationship between NextEra and Nextra. • Common Law Trademark Infringement and Unfair Competition. NextEra seeks injunctive relief and damages, including punitive damages, as well as costs and attorneys’ fees. Practice Tip: A finding of trademark infringement requires a “likelihood of confusion.” There are seven factors relevant to the likelihood-of-confusion analysis: (1) the similarity between the plaintiff’s mark and the allegedly infringing mark in appearance and suggestion; (2) actual confusion; (3) the similarity between the products and services offered by the plaintiff and defendant; (4) the area and manner of use; (5) the degree of care likely to be exercised by consumers; (6) the strength of the plaintiff’s mark; and (7) the defendant’s intent. The suit was filed by Matthew Farley of Drinker Biddle & Reath LLP. The case was assigned to Chief Judge Philip P. Simon and Magistrate Judge Christopher A. Nuechterlein in the Northern District of Indiana and assigned Case No. 3:14-cv-0194100241-PPS-CAN.